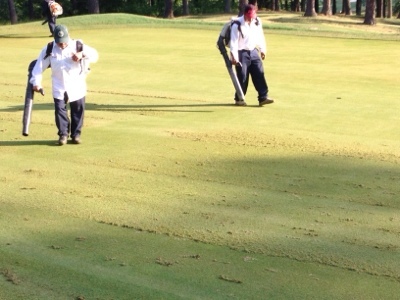 With the cooler spring weather the holes from the April aeration stayed open longer than anticipated. So I decided to make a change to the late spring scheduled aeration. 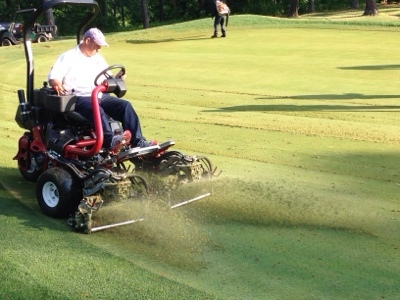 We went out with a solid needle tine to supportive root growth leading into the summer. This also helps with water penetration. We followed up with the verti cutters to remove some thatch. 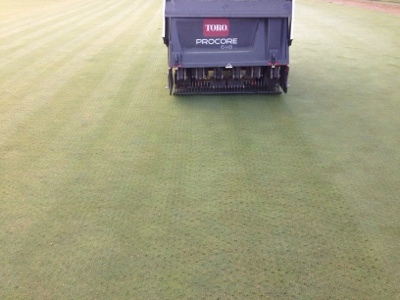 Verti cutting is a means for us to remove a small amount thatch with less disruption than aeration. 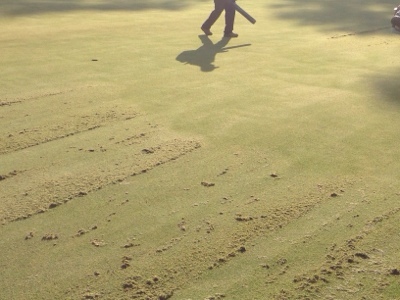 Once the greens have been cleaned from the debris the sand topdressing is applied and brushed into the slits. This also helps with thatch dilution and firmness. Recovery time will be a few days to a week. 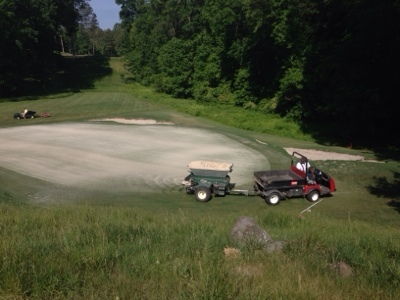 Sand topdressing being applied to fill in the slits.